Tonight is Hollywood's biggest night when the best films, their stars and the people behind-the-scenes are celebrated for the ways they've managed to move, transport, inspire and entertain us these past twelve months. 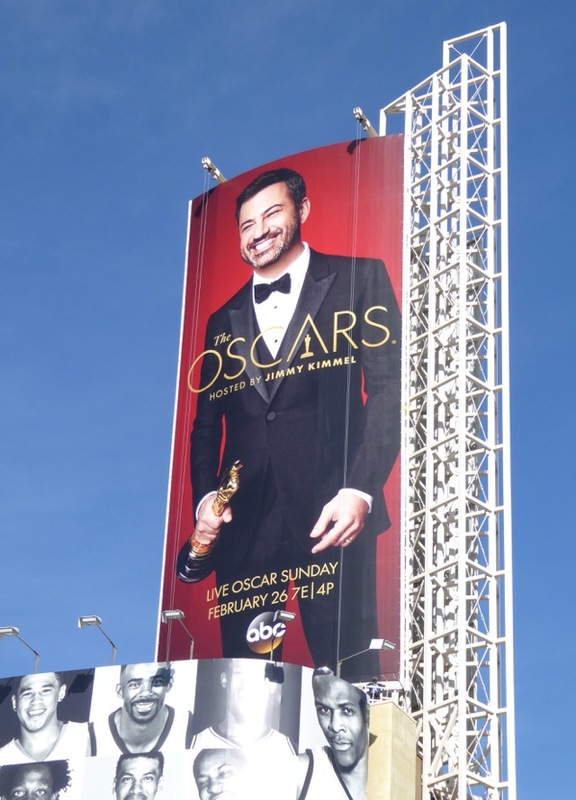 It's Oscar time and this year ABC's Jimmy Kimmel gets to host proceedings. 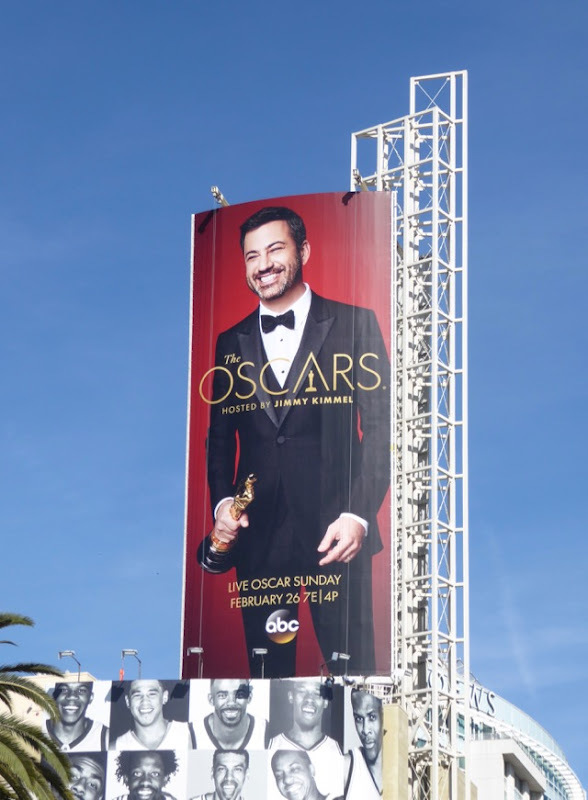 For those of you that get confused between this Jimmy and The Tonight Show's Jimmy Fallon, that Jimmy just hosted the 74th Golden Globes (Hollywood's biggest party of the year), whilst this one is master of ceremonies for Hollywood's most prestigious awards ceremony, now in its 89th year (oh, and this one has facial hair). 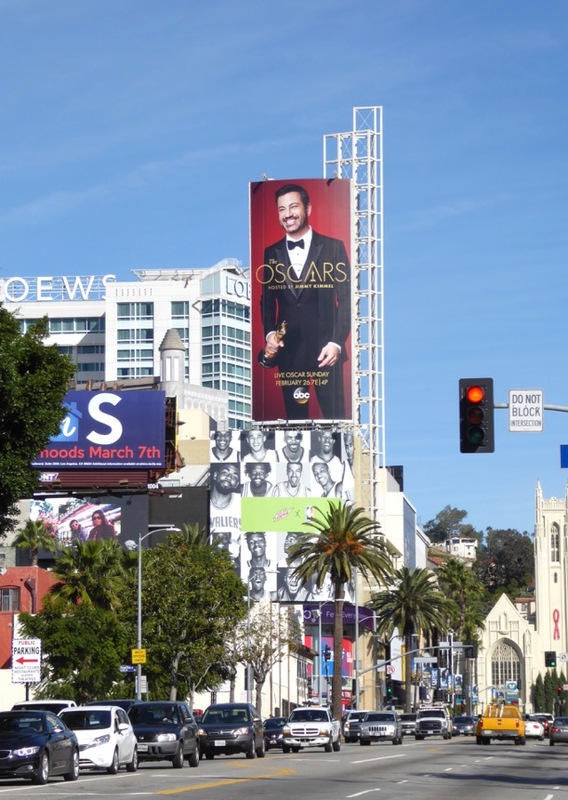 This billboard for the 89th Academy Awards ceremony was spied high over Hollywood & Highland on February 13, 2017. 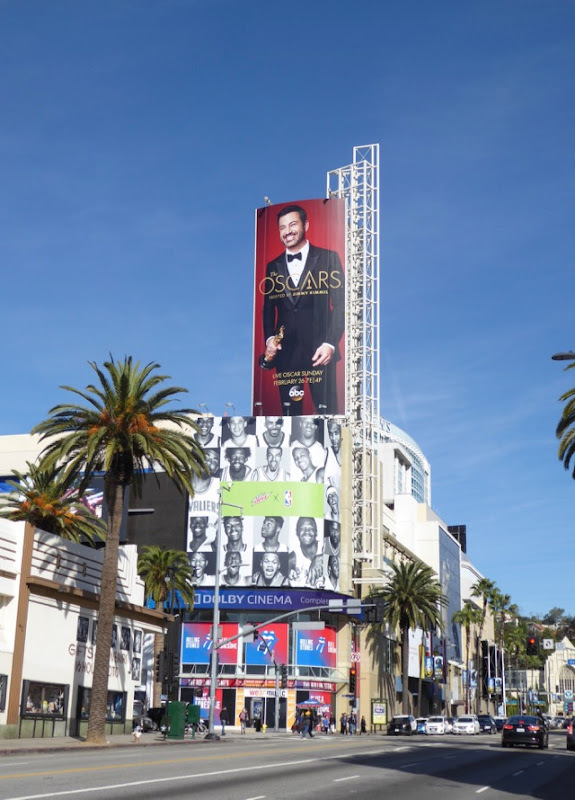 If you're a fan of the annual motion picture industry event, make sure you check out all these previous Oscars billboards from recent years hosted by the likes of Chris Rock, Ellen DeGeneres, Neil Patrick Harris and Steve Martin and Alec Baldwin. 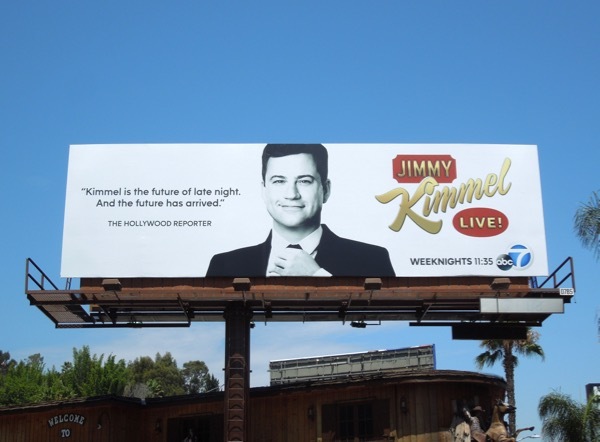 As a special bonus here's also a billboard for the late-night talk show host snapped along West Hollywood's Sunset Strip on July 27, 2013. This year the Oscar ceremony should be less controversial as the nominees are more diverse, with Fences, Hidden Figures, Lion, Moonlight and Loving all in the running for various coveted accolades. How many of La La Land's fourteen Oscar nominations will the musical take home, how political with the speeches be, who will be crowned the worst dressed, who will mispronounce a film's title or actor's name and what will be the biggest upset of the night. You'll just have to watch to find out. So, are you red carpet ready?